Well, it was long time since the last Fresh IDE official release. 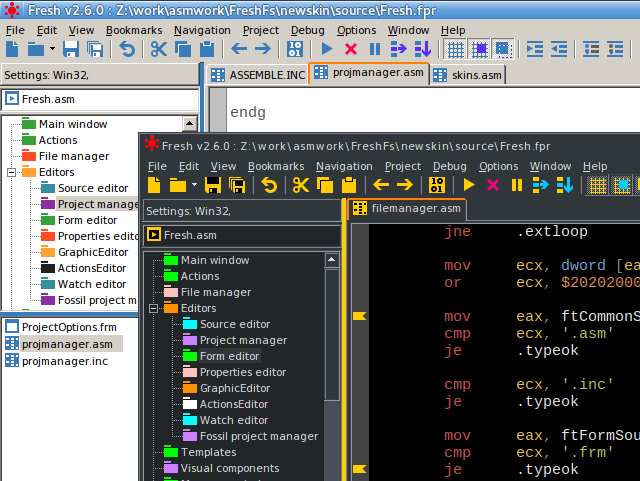 In addition, Tomasz released a milestone version of FASM, so it is the right moment for new release of Fresh IDE as well. icon sizes for the menus and toolbars. [+] Updated the FASM manual to the latest version. with detailed explanation and useful information. to hit the proper name with less typing. 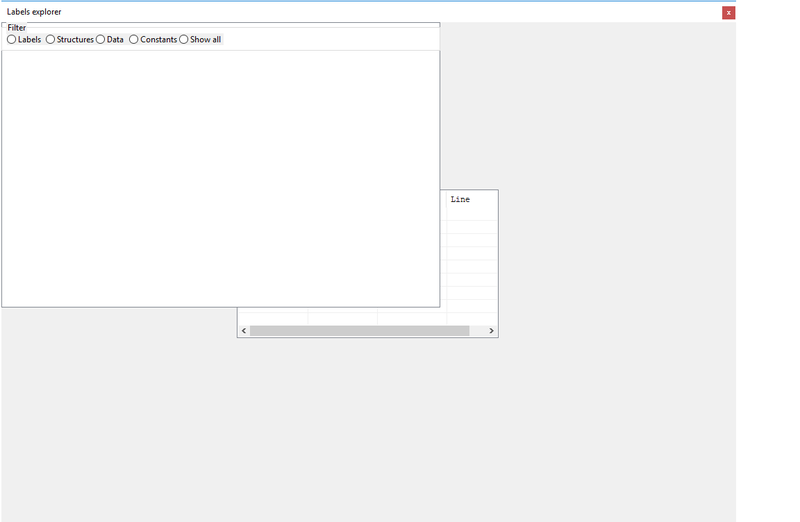 better quality and the size of the executable smaller. I just released v2.6.1 with fixed "manifest.uuid" and "Labels explorer" behavior. Re-download. Am rather new to asm and have been looking for a good IDE for development based on fasm assembler (targetting windows plateform). I decided to give Fresh IDE a try. I now have the latest version = 2.6, and, to familiarize myself with the IDE, I am trying the fresh sources included in the package. I loaded fresh.fpr from the 'source' subdirectory and tried to compile, but this actually failed. First, the file 'manifest.uuid' was mising (cf. line 1013, in file 'ActionEvents.Asm': file "../manifest.uuid": 0, 16) ; so I had to get it from prev. version = 2.5.1, to correct this problem. After this, the project compiled ok (to be accurate it did so, only after changing Binary filename to '..\Fresh2.exe' in Project->Project options, to avoid overriding the original exe). I'd appreciate your help or advice on this, since this IDE looks promising and lablels explorer looks like a very valuable feature. Note : Am working under Windows 10 - could there be some incompatibility issue ? Thanks for the report. It is my fault to miss this file from the distribution. It contains the Fossil checkin ID in order to be displayed in the about dialog. Anyway, I will fix it ASAP. Well, you are doing everything fine. The feature is broken. Of course, I will now fix the problem. Check the download page tomorrow. Any other bug reports are welcome.